TBILISI, DFWatch–Police in Georgia are still searching for Sergei Smislov, a 65-year-old German citizen who disappeared one week ago on a mountain road near Georgia’s breakaway territory Abkhazia. Shortly before he disappeared, Smislov received a phone call from a friend, and then left in his car, his daughter told TV station Rustavi 2. She believes he was carrying a large amount of money at the time he disappeared, and that he might have been robbed. Smislov runs a construction company and came to Georgia three years ago to work on water supply in Mestia. His contract had recently ended, and he was planning to return to Germany. After searching for him for the past week, police have not been able to find a single trace of him or his car. His daughter said she believes he disappeared near Muzhava, a village on the Mestia-Zugdidi road in an area near the breakaway territory. In September 2014, a group of German tourists were robbed at gunpoint along the same road. 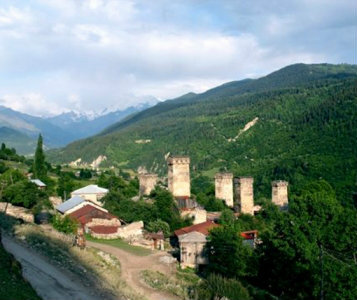 There were conflicting reports in Georgian media at the time, and the German embassy in Tbilisi refused to offer DFWatch further details about that incident.